If you build web applications and care about security, you have probably used the Burp and ZAP proxy security tools. These tools perform dynamic analysis on live web applications to identify security vulnerabilities. Burp and ZAP can discover issues with your applications as you nagivate through them via a browser. Essentially, you they configured to be a “man in the middle” and intercept all traffic between your browser and web application. Have you ever wondered how it is possible to intercept encrypted traffic over https? 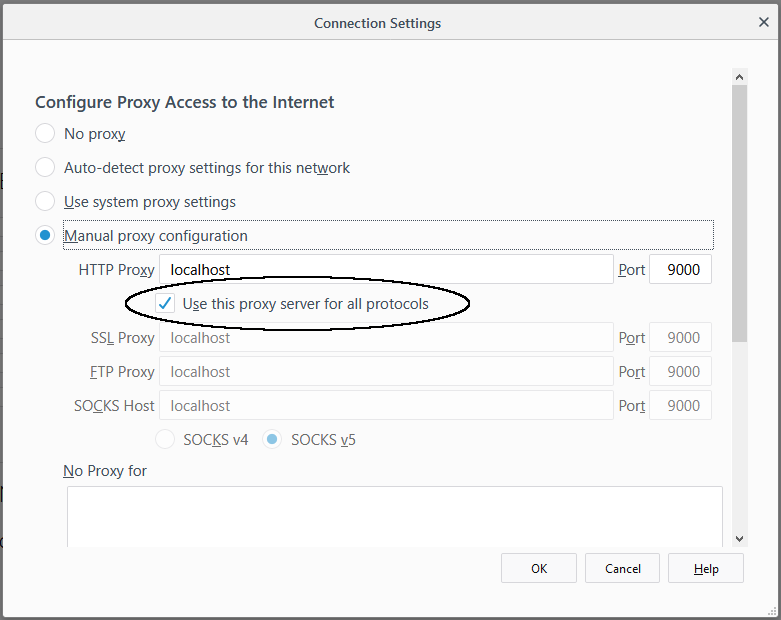 This article explains how it is done and provides a basic framework for creating your own proxy software. Note, that the Use this proxy server for all protocols box should be checked. Your browser is now ready to send and receive data through a proxy. Let’s now start to put together some code to handle these browser requests. Next we create a socket using the target host address and send the request. We then read the response from the target host and parse that into a Response object. Now that we have a Request and Response, we can create a RequestResponse object and store it indefinitely using the DataManager class. We create a new thread to perform the actual storage because we don’t want to wait for this task to complete before sending the response back to the client. Finally we send the response back to the client. 2. Our proxy can’t use these certificates because they are password protected. Hence, we create our own Certificate Authority certificate, which we can use to issue our own certificates. The static initializer is used set up the CA_KEYSTORE_FILE, CA_CERT_FILE, and CA_X500_Name constants. By making them static, they can be referenced by the proxy. 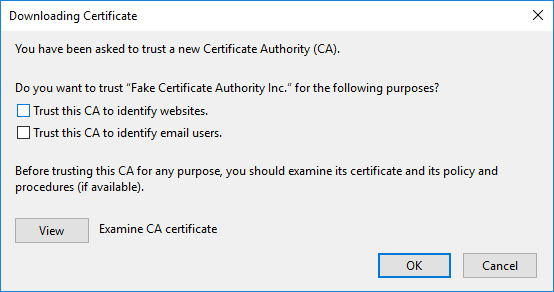 The proxy will use the CA_KEYSTORE_FILE to get the Certificate Authority certificate’s private key, which will be used to create the certificate to send to the browser to impersonate the real host. 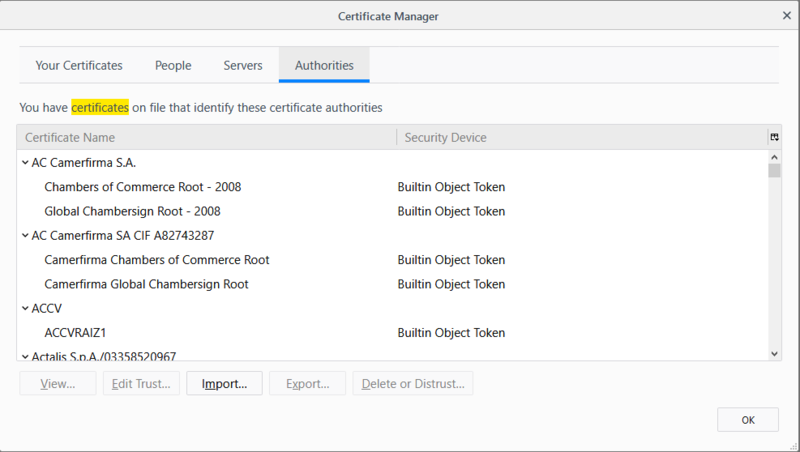 It also uses CA_X500_NAME to create the certificate. If we now jump back to the createAndExportSelfSignedCertificateTo(…) method, you’ll note it not only stores the certificate in the KeyStore, but also writes out the certificate to disk. This is so it can easily be imported by a browser. By default, the certificate is written to <java.io.tmpdir>/cacert.der. Let’s now import it into FireFox. Click the first check box and click the OK button. You have now imported the Certificate Authority certificate into your browser. This is a special version of the SecureSocketFactory.createSocket(…) method, which takes a socket a parameter. Essentially, it abstract the encryption/decryption for us so we can read and write unencrypted data to the socket that the browser is connected to. You should be aware that HttpURLConnection has setFollowRedirects(…) set to false. It will otherwise generate multiple requests for a redirect response code, which can be confusing. This entry was posted in https, proxy, Security, Web. Bookmark the permalink.